Despite nearly daily reports of delayed and cancelled trains, Long Island Rail Road officials said Monday that 2007 was a modern-day record-setting year for on-time performance on the commuter railroad. Officials said 94.07 percent of all LIRR trains arrived on-time in 2007. The previous best on-time performance was 94.04 percent in 2002. The mark was an increase of about 3/4 of one percent over the performance in 2006. Records have been kept since 1979. It should be noted that LIRR officials consider a train to be “on-time” if it is no more than five minutes and 59 seconds late. The announcement came on the same morning when so-called “equipment problems” caused a more than 90-minute delay for passengers on the 6:48 a.m. train from Huntington to Hunterspoint Avenue when it broke down near Queens Village. That caused the cancellation of another train — and more than 60-minute delays to at least four trains on the railroad’s Main Line west of Jamaica. Officials could not detail what the “equipment problems” were that caused the massive delays on Monday. 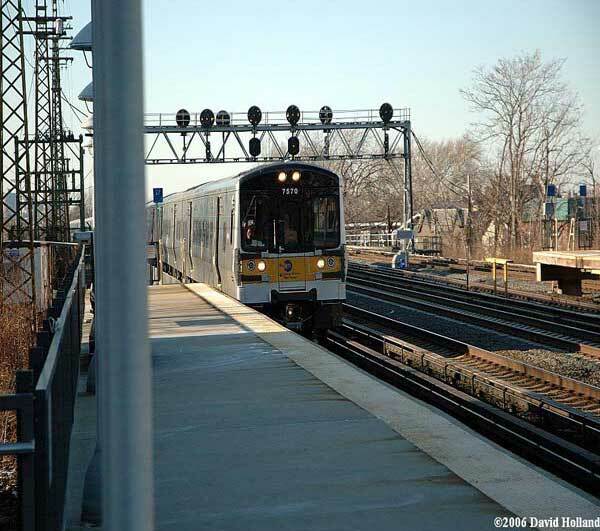 The MTA Long Island Rail Road capped off 2007 with an On-Time Performance (OTP) of 94.07% – an almost 1 percentage point improvement over 2006. The prior year’s OTP was 93.30%. At 94.07%, 2007’s OTP is the best since modern record keeping started in 1979. The previous best OTP of 94.04% was achieved in 2002. The LIRR reached the 94.07% milestone in 2007 while operating almost 5% more trains (244,565) annually than in 2002 (233,301). “This hard-won accomplishment is the result of a focused, team effort by all LIRR employees,” said LIRR President Helena Williams. “We know that our customers want service reliability. They expect to arrive at their destination safely and on time. I want to commend LIRR employees for delivering on that goal. The LIRR achieved two other significant milestones in 2007. Annual AM Peak on time performance reached 94.28% (previous record, 93.79%) and annual Off Peak on time performance reached 94.64% (previous, 94.41%). The Railroad implemented its current methodology of determining on-time performance in 1979. That year, the LIRR posted an OTP of 83.42%, and commenced an upwards climb through the decades – reaching 91.62% by 1987, rising to 93.68% in 1992, and hitting 94.04% in 2002, the previous record. I have to admit this record comes as a surprise to me. I say this because the Newsday was right on the money when it mentioned that you got used to seeing daily reports about trains being delayed or cancelled. While I don’t ride the Long Island Rail Road (LIRR) as much as I used to, I know many who do. I would usually hear from them almost daily about some sort of delay or cancellation. They would either be screwed by the delay or cancellation or asked if I had heard about it so I could blog about it for my readers. Either way when the Long Island Rail Road (LIRR) was discussed, it was not usually in the best light. I assume the agency used a funny way of determining on time arrivals & departures which includes a buffer a few minutes behind what is posted for customers. Quite frankly I don’t see how one can sit there & say something is on time when the data provided to customers shows otherwise. If they or any agency wants to really be 100% factual about their on time record, they should base their results exclusively to the time posted on their public schedules. Anything outside of that is & will never be 100% factual.